Abe has been a licensed Insurance Agent in Arizona for the last 12 years. Before coming to IPA he spent time as an Agent for both Nationwide and Liberty Mutual. Although these opportunities helped give him a great start and introduction to the insurance industry he always found they were lacking in one main thing and that was ability to give his clients CHOICE! As Abe puts it, “I constantly found myself defending the actions of an Insurance Carrier rather than protecting the interest of my clients.” This has never sat well with him and he always knew there was a better way. Becoming an Independent Agent was the obvious choice and he has never looked back. The ability to focus on doing what is right for the client and to offer solutions, rather than excuses, is the way insurance should be offered and that is what Abe does with everyone of his clients. His life outside the office is what you might expect of a Husband and Father of a growing family. He has been married to his wonderful wife Jessica for the last 12 years and they spend their days supporting their children in all their various activities ranging from Baseball, Soccer, Dance, Piano and Church. He has coached all of his kids at various times and continues to volunteer as the Head Baseball Coach of Knights Baseball. Thank you for your interest in Abe Bawden and if you are one of our current clients thank you for your continued support. 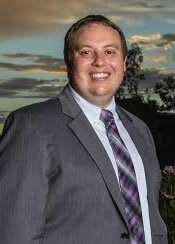 If you would like to reach Abe to discuss any insurance needs please don’t hesitate to call him directly at 480-355-1196 or email him at abe@insuranceproaz.com.